Henry Barber, MD is the leading provider of the QuickLift® Face Lift procedure in the Mobile, Alabama area. 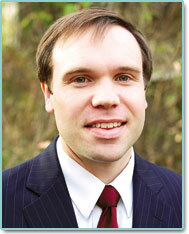 Dr. Henry Barber is board certified in Otolaryngology -- Head and Neck Surgery. Having completed six years of training in head and neck surgery and facial plastic surgery including fellowship training in both facial plastic surgery and hair restoration surgery, Dr. Barber offers a wide range of treatment options to his patients looking for a more rejuvenated, youthful appearance. After graduating from medical school, Dr. Barber began his training with a surgical internship at Wake Forest University. Inspired by his training, he went on to complete his residency in Otolaryngology–Head and Neck surgery at the University of Mississippi and then a fellowship in Birmingham covering both facial plastic surgery and hair restoration techniques. Specializing in all areas of facial plastic surgery and hair restoration surgery, Dr. Barber also focuses on reconstructive surgery following skin cancer; scar revision and improvement of the nasal airways. Incorporating the QuickLift® face lift procedure into his practice is a natural fit as Dr. Barber has witnessed the demand for minimal recovery procedures increase in recent years.